Modern and simple table lamp designed by Massimo Castagna for Gallotti and Radice in 2015. 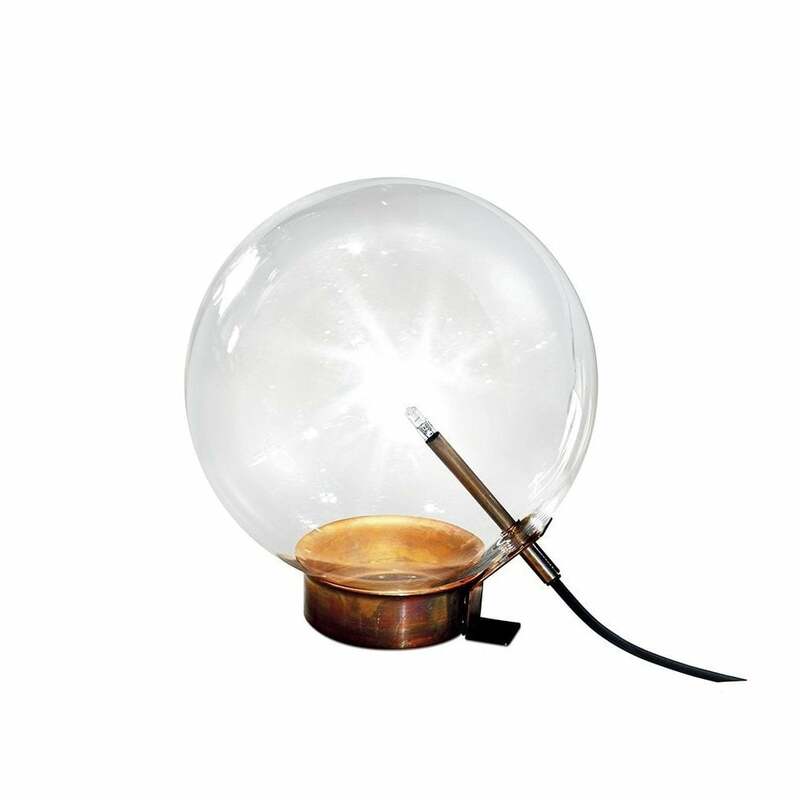 A transparent glass globe houses the halogen point light, with metal parts in hand burnished brass. The hand burnished brass finish looks naturally spotted and irregular. Due to this craft made processing, each product is unique and exclusive. Dimmable light. Also available in a three globe version - please contact us for pricing.